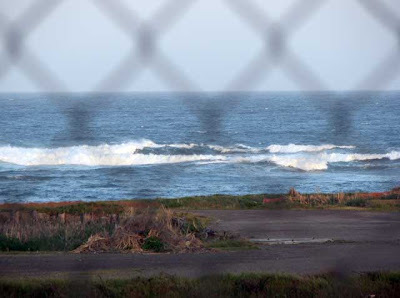 I recently received a notice from the Department of Toxic Substance Control. I took these photos this morning to accompany the text. 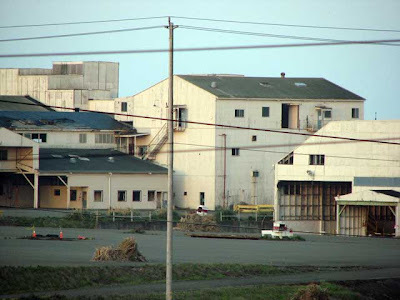 "Field work is scheduled to begin the week of April 15th, 2007 on the former Georgia-Pacific mill site. "Sampling/investigations: Soil, groundwater, and surface water throughout the G-P site will be sampled over the 2007 spring and summer. "Pilot test: Petroleum-impacted soil from the former mobile equipment shop area will be dug up and spread over a sealed concrete pad on the site. Soil nutrients will be mixed into the soil to test the effectiveness of this method for treating/cleaning up the soil. "Geophysical anomaly test pit investigation: Previous investigations detected buried metal debris at various onsite locations. Test pits will be dug in the locations of the detected metal to see what is buried. 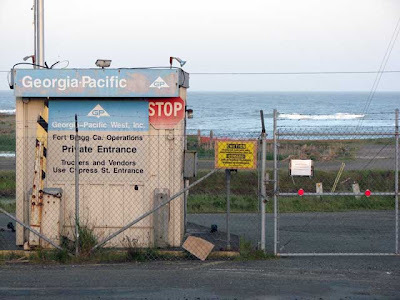 "Building demolition: Several buildings on the G-P site will be demolished as part of a permitted activity through the City of Fort Bragg and the Coastal Commission. 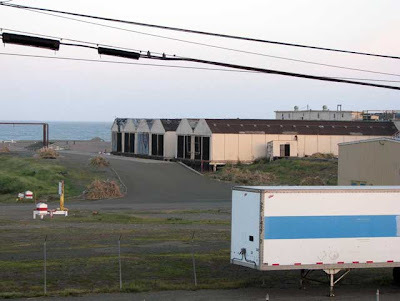 The buildings slated for demolition are: the machine shop, plant supply, covered shed, storage shed, mobile equipment shop, tire shop, wash-down building, and the fuel storage and dispenser building. "Surface debris removal: Debris such as pieces of metal, wire, girders, wood, etc. 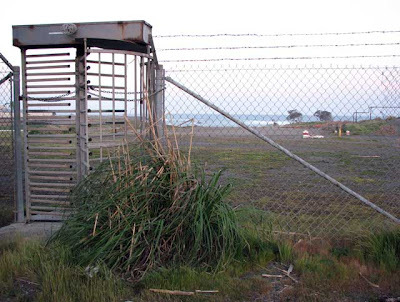 will be removed from the coastal/beach areas on the G-P site."